MAGLite continues to impress with upgrades of classic models paired with the latest advancements in illumination technology. The ML100™ 2-Cell C LED Flashlight packs the high beam power of an LED light into a slim and streamlined design. Choose between five varied modes of output. Use full-power in the deepest dark, or power-save mode to conserve battery life by 25%. The strobe option has an output of 12 flickers per second, while the SOS feature blinks a distress signal in International Morse Code. Momentary on/off mode allows for a quick flash of light when the switch is held in place manually and turns the light off as soon as the switch is released. 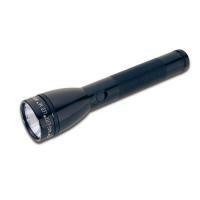 MAGLite delivers the performance wanted, needed and expected with the ML100™ Flashlight.